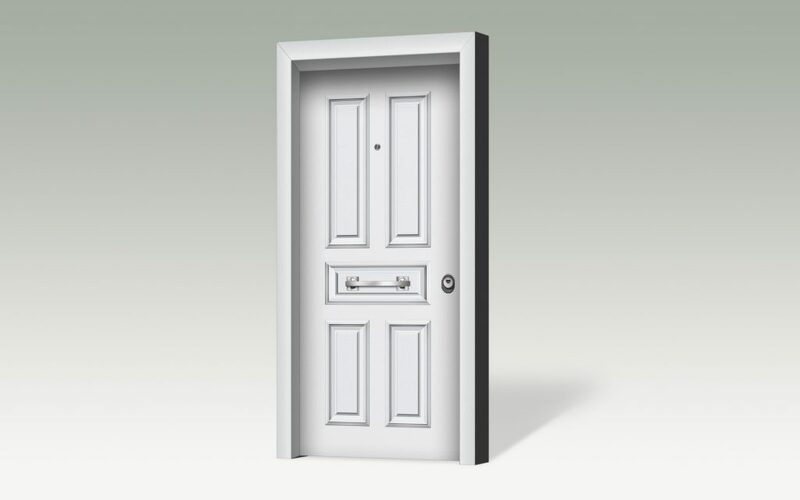 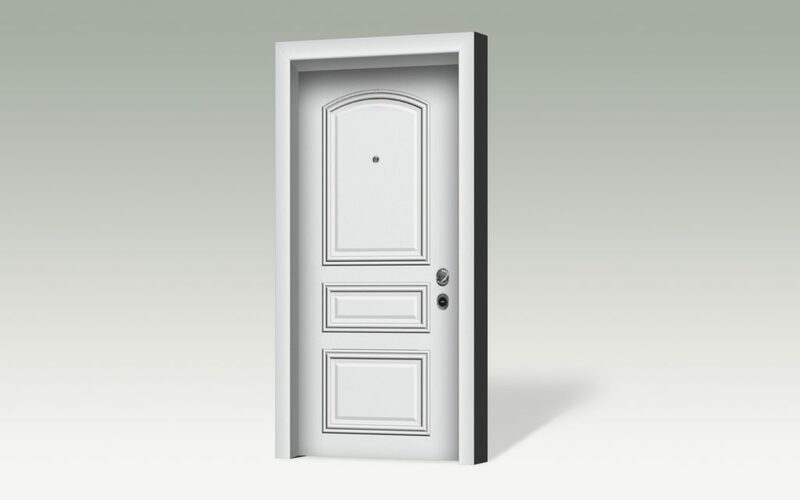 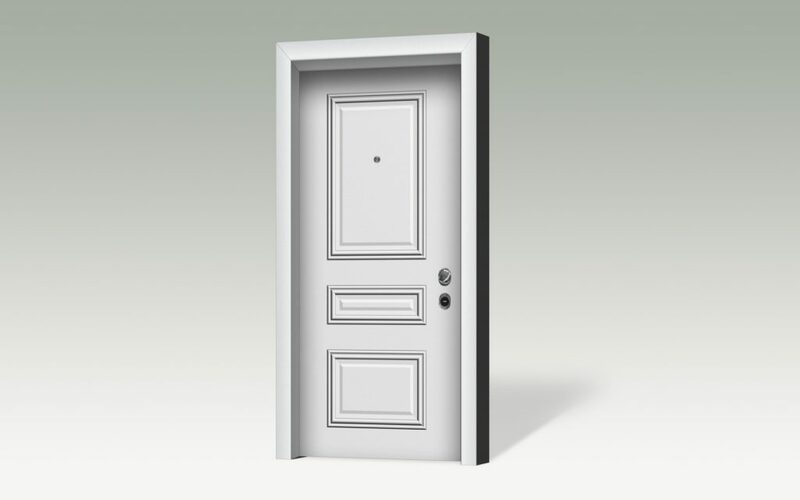 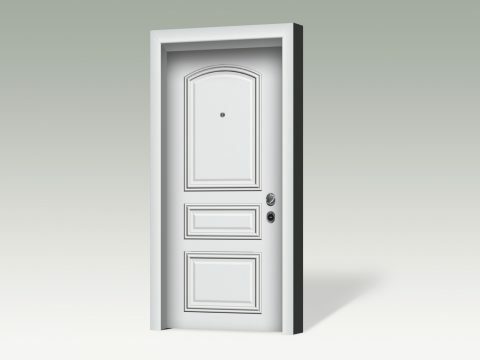 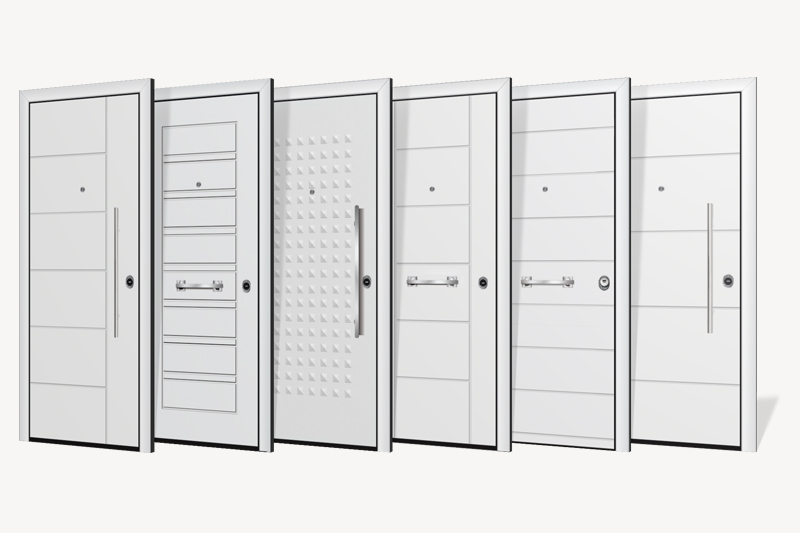 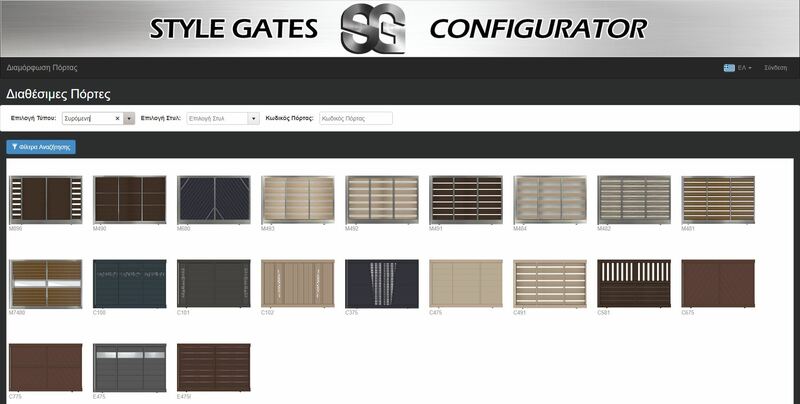 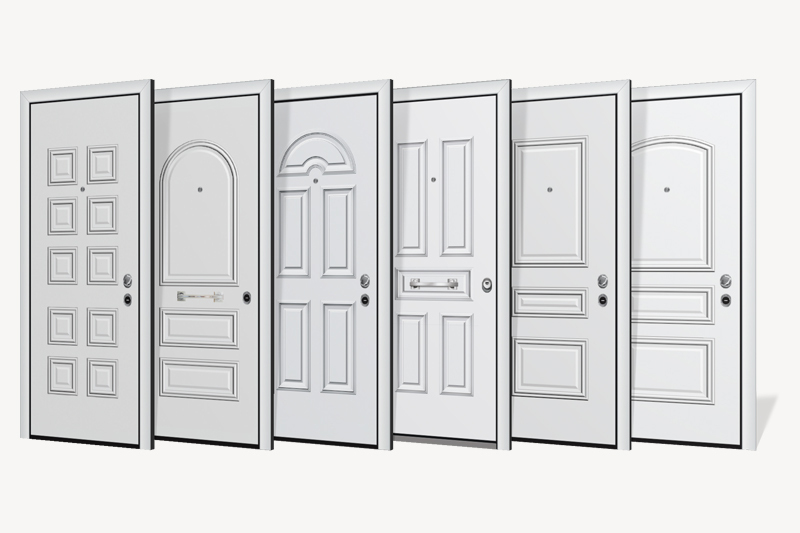 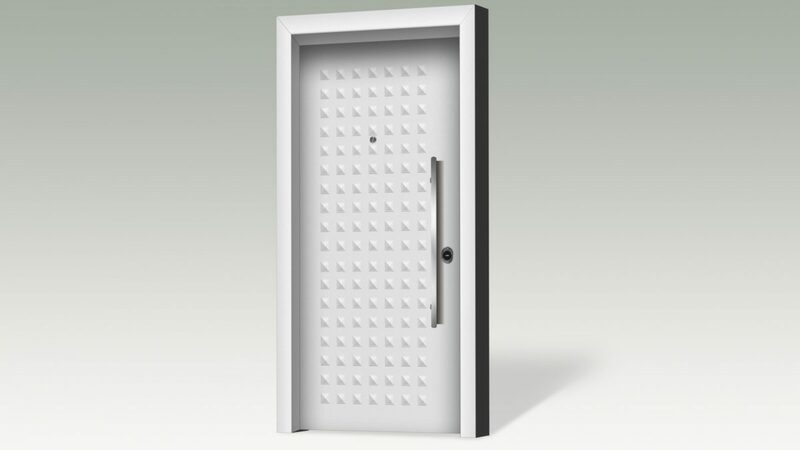 Description Safety doors with pressed aluminum coating are the most timeless and common solution for an exterior door. 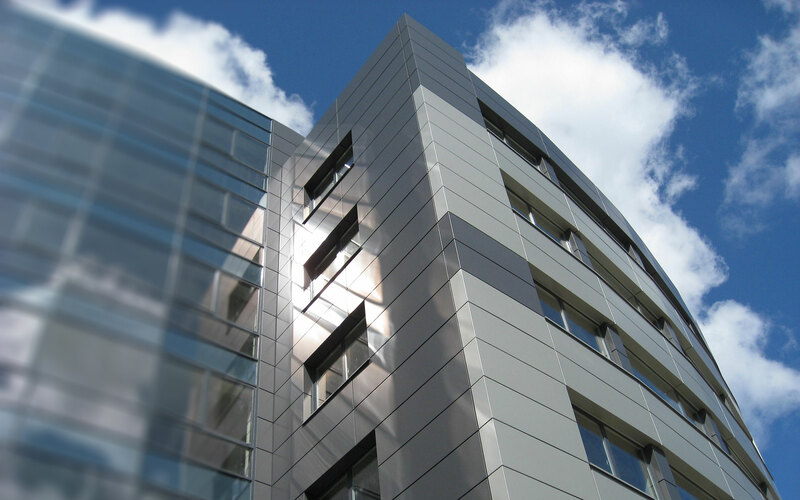 Polycarbonate sheet is used as coating instead of MDF. With this technique, we solve chronic problems such as coating fluff, sheet detachment and surface deformation due to expansion-contraction. 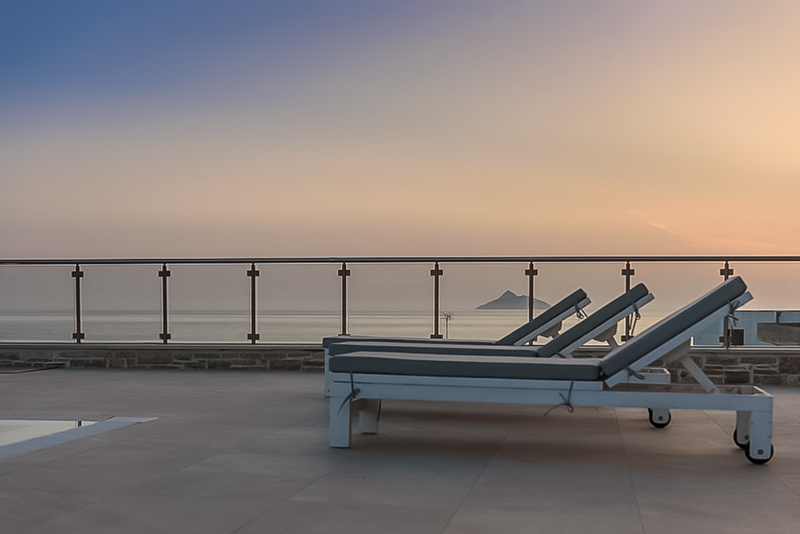 The addition of decorative elements INOX adds a modern character.